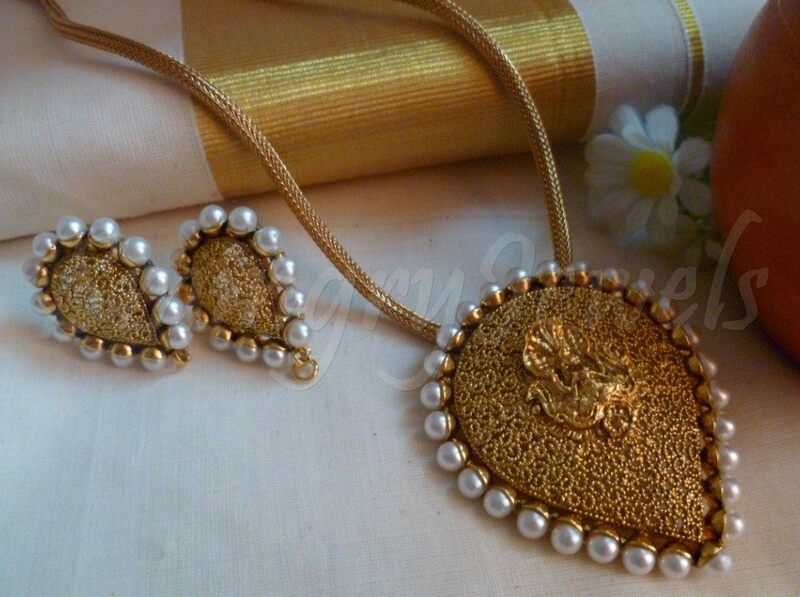 Antique Cute big temple pendant oval shape and earrings. The necklace is made of beads, each bead having a generous sprinkling of rounded set in a regular pattern. The form continues in the big oval shaped pendant. With earrings to match, this set is admired .